Manhattan Construction Company Project Director Craig Abbott has been named among Building Design + Construction’s “40 Under 40 Class of 2015.” Building Design + Construction (BD+C) magazine, a national building industry publication, selects honorees based on the individual’s career achievements, service to their profession and communities, and active participation in charitable work. Abbott’s project story is located in Building Design + Construction’s September 2015 issue (page U40/5) and on their website. During Abbott’s nine years with Manhattan, he has been involved in more than $987 million on various project types including AT&T Stadium, Southwest Baptist Theological Seminary and Student Housing, Grand Prairie Public Safety Building and FAA Southwest Region Headquarters. Off the clock Craig coaches his daughter’s little league team and Manhattan’s team for their annual softball tournament. Abbott graduated with a construction management degree from Oklahoma State University. He is also a LEED Accredited Professional, a certification earned through the U.S. Green Building Council. Manhattan Construction Co. announces Todd Gnospelius as director of business development for the company’s Houston-area office. Gnospelius responsibilities include business opportunity identification, market intelligence, client engagement and long-term client relationship management for the southeast Texas region. With his involvement in more than $6 billion in construction projects, Gnospelius’s brings valuable field expertise to help clients from the early stages of exploring options for pre-construction and construction services through project completion and warranty. His project portfolio is diverse and includes medium to mega-size projects in multiple sectors in southeast Texas spanning aviation, commercial office, correctional, healthcare, federal and non-process industrial. Prior to joining Manhattan, Gnospelius was part of national aviation and federal sector teams for another construction firm. 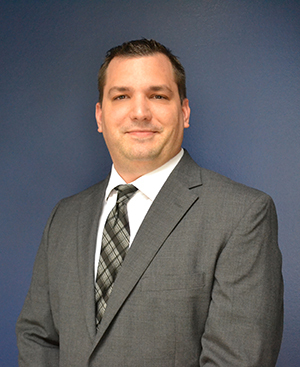 Gnospelius holds a degree in construction management from Sam Houston State University. He is a LEED Accredited Professional with the U.S. Green Building Council and is actively involved in Urban Land Institute (ULI), National Association of Industrial and Office Properties (NAIOP), and other Houston-area organizations. Manhattan Construction’s Houston office opened in 1942 and is well-known for building city icons, including BVAA Compass Stadium and NRG Stadium. The Company is currently building the$145 million United Airlines New Terminal C North at Houston Intercontinental Airport. You are currently browsing the Manhattan Construction Group blog archives for September, 2015.